Kriya yoga is the most advanced technique amongst all disciplines of yoga. One can enter into it after about two years of hatha yog which purifies the body and calms the mind, which are the pre-•requisite s for kriya yoga. It is a combination of nearly 20 practices. Since it does not require the control of mind; which follows eventually automatically; it suits all kinds of practitioners- householders or recluse. 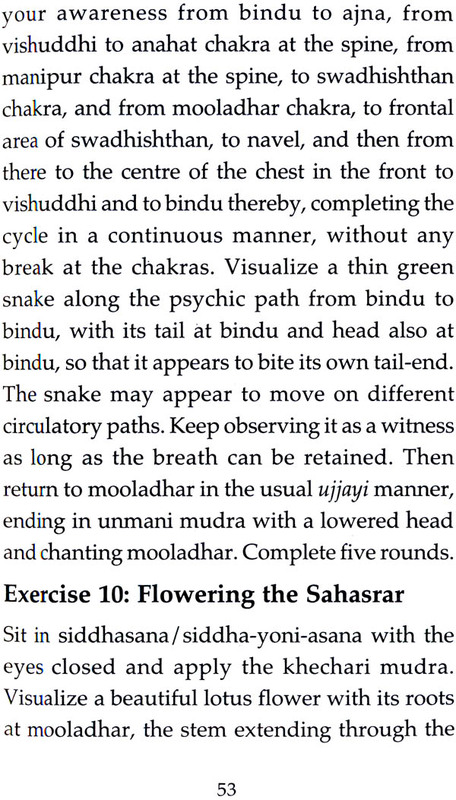 It is a very effective method of experiencing Kundalini directly. Hatha yoga practise is very essential in this regard and is recommended for a period of nearly two years to prepare a practitioner for advanced kriya yoga practices. It controls the vital energy pran which interacts with the mind; consequently, the mind is controlled with the control of prom. One achieves a tranquil and calm mind, even in the midst of disturbing circumstances, because of chemical secretions in the body. It is a permanent achievement, unlike a temporary one through LSD, etc. 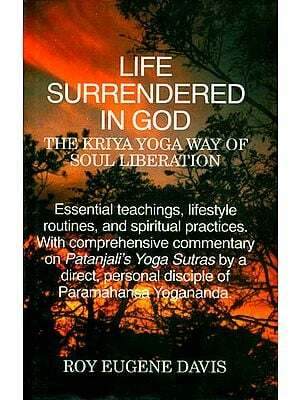 Through kriya yoga one achieves the state of simultaneous awareness of worldly senses and objects on one hand, and inner tranquillity on the other. There is predominance of alpha waves in the brain which is responsible for stopping the movement of the mind. The aim of tantra is to expand the mind and liberate the energy. The underlying principle of kriya yoga can be understood in two steps: generate the nectar and reverse its flow. Practices like khechari mudra are meant to stimulate the bindu and thus create nectar. The nectar, on being created normally, goes down to Manipur and is burnt off. 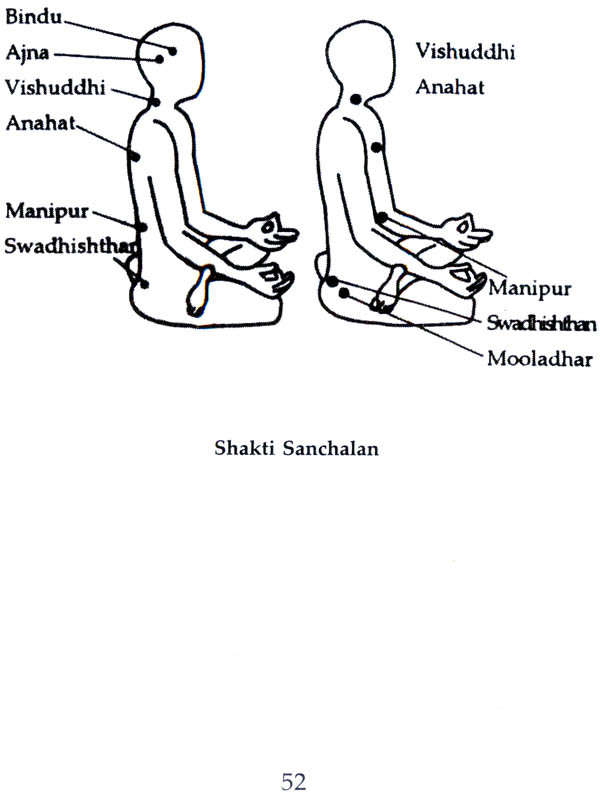 Practices like vipareet karni (opposite doing) are meant to reverse the flow of the nectar, so that, it is not wasted and is directed to higher centres for consumption in the body, which can arrest ageing and produce rejuventation, this principle of reversal of flow is highlighted in the famous book Hatha Yog Pradipika and other tantric texts. The mind reaches the state of shoonyata (void or nothingness) and begins to act like a witness to everything happening around. 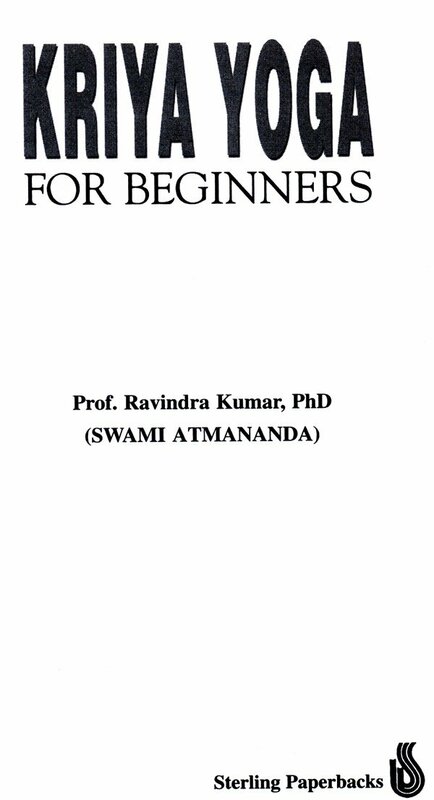 The methods used here are suitable for today’s world where control of the mind is a difficult task. While in other disciplines this has to be worked at, in Kriya Yoga it follows automatically as a by product.